GASOL FOUNDATION IN THE U.S.
Every child has the right to live a healthy and happy life. Let’s empower them. Every one is a role model to another. Let’s be a healthy one to our children. Every one has a responsibility to self and to those they love. Let’s do this together. By providing parents and their children with knowledge of these “Three R’s of Health”, Gasol Foundation hopes to facilitate with our programs and activities in the U.S. a new level of parent and community engagement in children’s lives: one that positively impacts individual and family wellness both today and for many tomorrows. In Collaboration with: Partnership for Los Angeles Schools (PLAS), a nonprofit working to strengthen the education and training system for parents in 19 high need schools of the Los Angeles Unified School District. We partner with their parent empowerment program, Parent College; that provides workshops and support to parents in the Partnership network. Project Description: Vida! Health and Wellness is offered throughout the school year as a resource for children ages 6-12 and their families to learn the tools necessary to live a healthy lifestyle. The project is implemented in 3 neighborhoods of Los Angeles: Watts, South LA and Boyle Heights. 175 families from the area take part in six- 2 hour sessions to explore each one of the 4 planets of our Healthy Galaxy in depth. A quasi-experimental study with a PRE-POST assessment is implemented. We are measuring three anthropometric variables (weight, height, and waist circumference) for both with children and adults. The four main areas of healthy habits promoted by the project are assessed through scientifically validated questionnaires both with children and adults. The program has received increased participation since its inception in 2014, with a current reach of 175 families. We anticipate to increase that reach to 200 families in the next scholar year. In Collaboration with: St. Anne’s, a non-profit organization that works to build safe, nurturing and resilient families—from pregnancy to parenthood and childhood to adulthood—for generations to come. We partner with their Early Childhood Education Division, which provides early learning services to low income children. Project Description: HAPPI (Healthy Active Preschool Parents Initiative) is a healthy habits promotion project in early childhood with the goal of preventing childhood obesity. A formative assessment phase is being carried out, including interviews with parents who receive services at St. Anne’s and focus groups with the early childhood professionals and the target population. Then an intervention will be defined based on the formative assessment and a pilot will be implemented during the 2018-2019 school year. Gasol Foundation team aims to utilize the scientific evidence generated throughout the project to expand the initiative to other organizations providing early childhood education services. In Collaboration with: YMCA of Metropolitan Los Angeles, a non-profit organization that is committed to strengthening communities through youth development, healthy living and social responsibility. 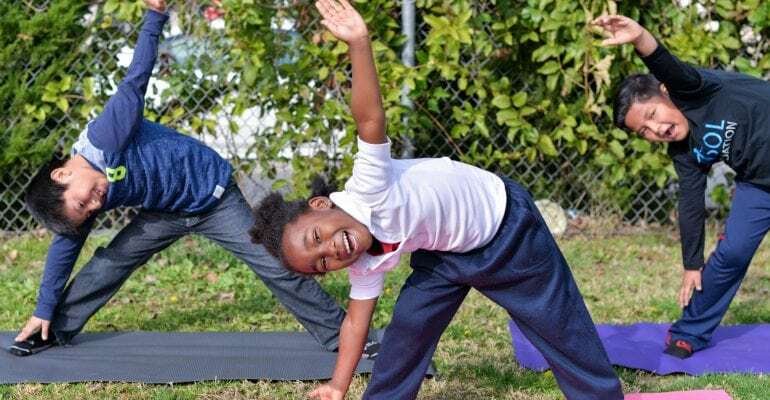 Project Description: The ENERGY Health Summer Camp by Gasol Foundation is an 8-week project with the goal of promoting healthy habits to children participating in the YMCA summer day camps. The project is offered at 4 YMCA locations; Weingart East Los Angeles YMCA, Weingart YMCA Wellness and Aquatic Center, Southeast Rio Vista YMCA, and Anderson Munger Family YMCA. Throughout the summer, more than 200 children aged 5-13 and their families go on an adventure to explore the Healthy Galaxy. Each week they discover a planet (topic) and explore its 4 satellites (key messages). Campers receive one key message daily and participate in a health workshop at the end of the week. We are measuring changes in attitude, knowledge, self-efficacy and skills around the planets. The main goal of the project is to produce a positive impact on these psychosocial predictors of behavioral changes around the four planets of The Healthy Galaxy. The objective is to evaluate the impact this initiative has on the children’s lifestyles during its first editions and gradually expand it to the rest of the 26 branches YMCA has in Los Angeles area. Our philosophy: Participants have to have fun and find enjoyment while they are learning. Parents and caregivers need to be involved in the initiatives. We base our activities on scientific evidence. We must be innovators. Project Description: We organize healthy habits awareness initiatives to promote how fun it can be to lead a healthier lifestyle. The Gasol Foundation’s main goals are to reduce the childhoodobesity rates by raising awareness about the importance of physical activity, healthy eating, sleep quality and emotional well-being of children and their families. To reach our mission we believe children’s leisure time, education and family members are key as well as technology, present in children’s lives, and without a doubt a powerful tool to prevent childhood obesity if used right.